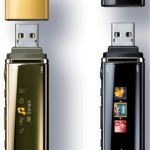 Sony has announced the Walkman NWD-B100 series of MP3 players that feature a direct USB connection to your computer to transfer music and files without the need for any cables. 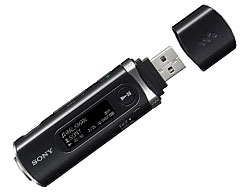 The stick-style MP3 player comes in sized of 1GB and 2GB adn has software that can scan through your directories looking for music files to grab, and monitors folders for new files added in. The new Walkman can also connect directly to an audio system with a USB connection to record and encode music directly to the player. 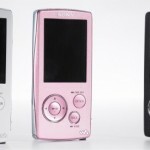 It also includes a built-in FM tuner and supports voice recording which are both are becoming very commonplace in MP3 players these days. 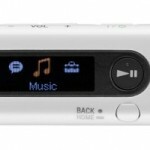 The NWD-B100 series Walkman’s come in colors of black or white with an LCD display that allows for navigation and song search by folder navigation or by the album, artist or song name. It charges up through the USB connection to give an impressive 12 hours of music playback on a single charge. These new Walkmans are expected to show up in Europe in August priced at £45 ($93) for the 1GB with radio, £55 ($113) for the 2GB with-radio model. No word yet on when this might hit the U.S., but Sony does say they have plans to expand the color line-up in the near future. Sony Strolls Video Walkmans to the U.S.